Earlier this week, Jenai (Bookingly Yours) sent me an e-book copy of Petchy Maligula by Stan Carter. Thank you very much Jenai , for hosting the giveaway and sending the book. I really like the cover of this book. I haven't finished any book from my last week's mailbox but there's another one I've borrowed. This is CSI: Sin City by Max Allan Collins. Yes, you're absolutely right! This novel is based on the hit TV series CSI (Crime Scene Investigation). 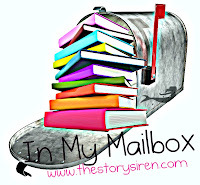 So, what do you have in your mailbox? Let me know if you make a FBook page! Happy Sunday! @Eden: Thanks for stopping by my blog, Eden.